This Indesit Larder Fridge is a compact design and can fit easily under any kitchen counter, This Indesit Larder fridge provides plenty of space and practical performance. 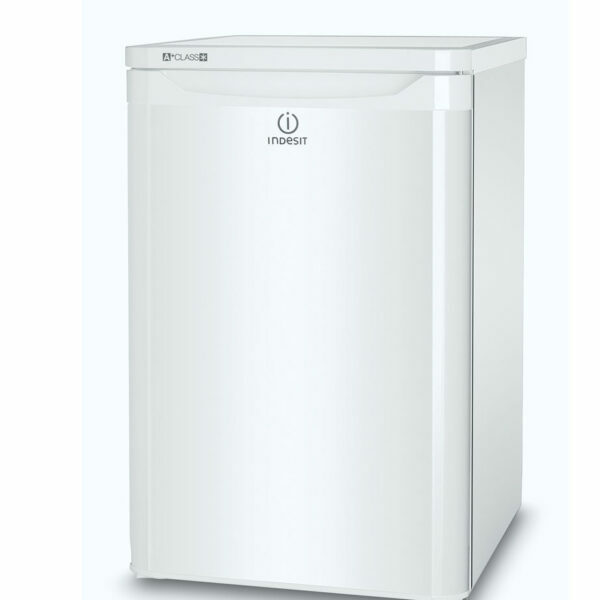 In a classic white colour and a reversible door this machine is great for space saving practicality. 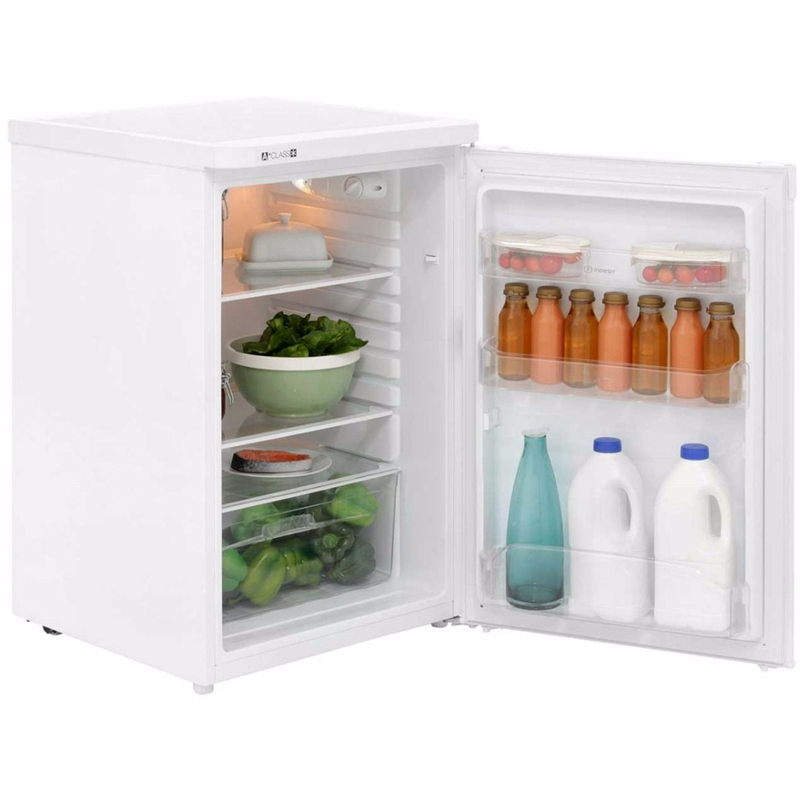 Keep all your food safely stored with the Indesit Undercounter Fridge. It’s got sturdy glass shelves so even if you need to store a heavy dish it’s got you covered – perfect if you’re marinating a load of meat for a BBQ. It’s got a good amount of space for all your daily foods, with an adjustable main area, a salad crisper for fruit and veg and a bottle balcony for milk and juice. When you’re heading to the kitchen for a midnight snack, the last thing you want to do is turn on all the lights and wake up your family. The Indesit helps you out with LED lights inside the fridge showing you exactly what you’ve got to eat. With an A+ energy rating, you can be safe in the knowledge that this is doing its bit for the environment. Not only that, but it’s easier on your energy bills too.